Greetings. We realize that it’s been a disastrously long time since this site has directed the questing listener towards any good music. We also realize that there is no better way to redeem ourselves than by presenting you, reader, with five new songs that are sure to, well, strike a chord, whatever your genre-preference. 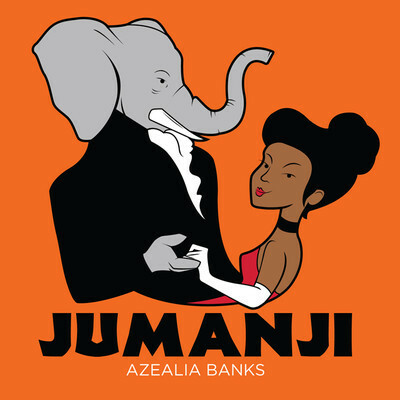 In the time of our lengthy absence, quite a few things have happened in the world of good music. Animal Collective, venerable mainstream-tiptoeing giants of the indie world, released a new album, as did equally beloved rock band Grizzly Bear. Flying Lotus put forward another experimental banquet, while recently-divorced Kim Gordon and Thurston Moore of Sonic Youth teamed up with the world’s most famous widow Yoko Ono for an intriguing project entitled, simply, YOKOKIMTHURSTON. Space-rock pioneers Muse also released a new album, and fellow country-men Coldplay thought it would be clever to have a Barbadian superstar play a Japanese woman in a song entitled “Princess of China”. Meanwhile, England also gave us the latest Adele-inspired offering in the form of Jewish class-act Jessie Ware. So what should you listen to amongst all this exciting new music? Read on! 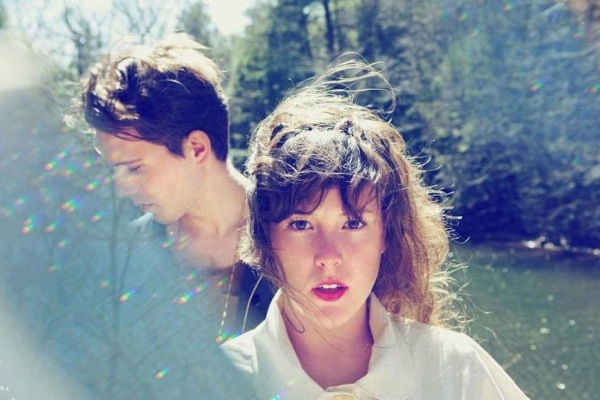 Sparsely-titled NYC duo MS MR Lizzy Plapinger and Max Hershenow (MS for her, MR for him) really like Tumblr: so much that they released their debut EP, Candy Bar Creep Show, on the platform for all and sundry to hear. The EP itself is full of operatic, lush drama that’s just a beguiling sneer short of Lana del Rey and a crisp shade of vulnerability more than a household radio-hit. However, it can be argued that MS MR are still to find their true sound to go with their well-formed Tumblr identity. But all is forgiven because of ‘Dark Doo Wop’, which evokes the same haunting, ethereal beauty of witnessing graphic violence set to a score of 50s Stepford-pop. “This world is gonna burn, burn, burn, burn/ As long as we’re going down, baby you should stick around,” sings Plapinger, and in her supreme gift she makes you feel both the helplessness of her world collapsing around her, and the sickly romance of wanting him to stick around despite it all. If you’re going to listen to only one song from this set of five, it’s this one. TNGHT really like colors. The cover art of their eponymous EP is a promising, confident riot of colors and (to take forward the obvious metaphor we’re building towards), so is their music. 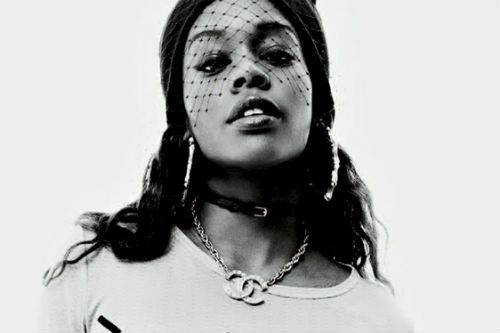 Think Timbaland on MDMA, or for the hipsters, karaoke-track Sleigh Bells (but harder, better, faster, stronger). 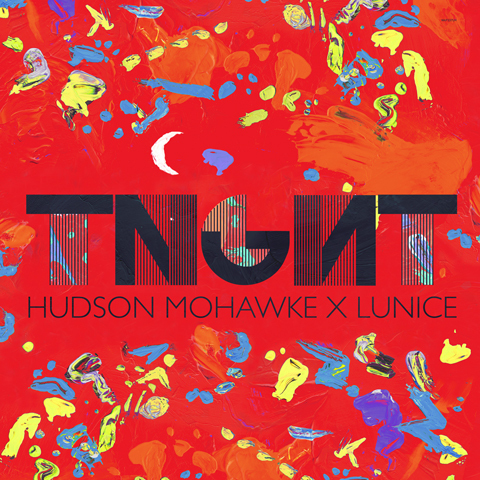 TNGHT consists of Glasgow-based Hudson Mohawke and Montreal-based Lunice, but their sound is of a frantic, hedonistic NYC party: the sort of the unadulterated ecstasy from which the Weeknd’s soul-crushing post-high R&B could have possibly derived from. ‘Goooo’ is a prime example of TNGHT’s brilliance, with a tinny hair-raising whine leading into some of the boldest, slickest beats you’ve ever heard in your life. The whole ‘song’ blips and bleeps along with the assertive ferocity that can’t be bought or mimed: TNGHT is just that cool. When you hear the biggest names in rap and hip-hop dropping a verse or two over TNGHT’s beats (it’s going to happen soon; this seems almost built for that), remember: you heard it here first. When we last saw Animal Collective, their drugged-out campfire-electronica was, much to fans’ surprise, slathered in a wholly accessible pop sheen. Consequently, yet unexpectedly, they were on the precipice of mainstream success, but managed to keep enough of their inimitable quirk to satisfy fans who have been there from Feels and earlier. The question with Centipede Hz, the new offering from the Baltimore group, was whether it would lean more towards their pop album Merriweather Post Pavilion, or hearken back to the ‘Fireworks’-era Golden Age. The answer, of course, is what we should have expected from Animal Collective: it is neither. In fact, it’s something else altogether. Our favorite track off of the album has to be the swirly, beautiful ‘Rosie Oh’, a track that’s so upbeat that it could be the music for the forest-friends sequence of Snow White and the Seven Dwarfs. Especially since Merriweather, Animal Collective (Panda Bear in particular) have gotten very good at writing metaphorical lyrics that double as pop songs. “You had opened up the door and made a place where I could sit inside and fortify/ But I said no I’d rather not; said no I’d rather not step in,” sings Panda, but soon sees the error of his cold-shouldering ways. “I’d like to embrace it all; have I made this or is it that I’ve been made?” he wonders later. Try to catch the words, if you’re not too busy grinning from how happy ‘Rosie Oh’ makes you. Close your eyes for a minute, and think of every single 60s psych-rock cliché you can possibly think of. A crash of cymbal, followed by a deep drum flourish; slightly off-tune piano; distorted, lingering vocals tweaked into cryptic depths; the slightest peppering of Eastern inflections; and a good old-fashioned dreamy, ebb-and-swell three-minute wordless segment bang in the middle. 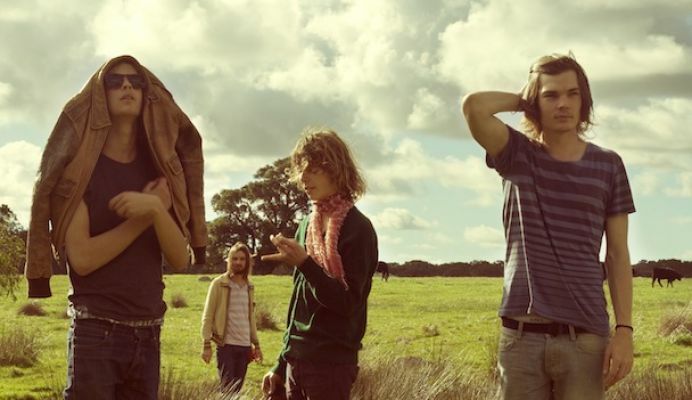 Until we heard Lonerism, Perth band Tame Impala’s second album, we didn’t think it was possible to recreate all those elements into a song without sounding like you’re just ripping off from a bunch of immortal bands. You could put “Nothing That Has Happened So Far…” right in between “Whole Lotta Love” and “A Day In The Life” on a 60s playlist you’ve heard tens of times before: and you’d be hard-pinned to cop out this song from October 2012. 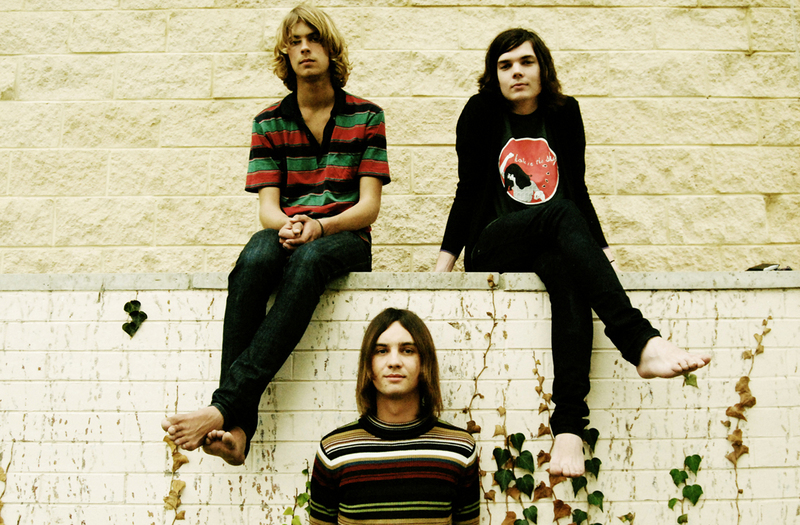 It doesn’t hurt at all that singer Kevin Parker sounds almost exactly like John Lennon. Listen to this song if you’ve ever wondered why they don’t make music anymore quite like Zep or Floyd or the Beatles. Grizzly Bear makes pretty music. It’s not pretty in a sugar-rush twee way. It’s not pretty in a vulnerable solo/acoustic way. And it’s not pretty in any way that uses modern-day sound-engineering tricks. Grizzly Bear makes full-bodied, organic music which is pretty because it’s technically flawless, musically upright and just plain real. You can picture these guys playing guitars and drums and singing choruses into a microphone each: in fact, you can almost see them performing right in front of you. 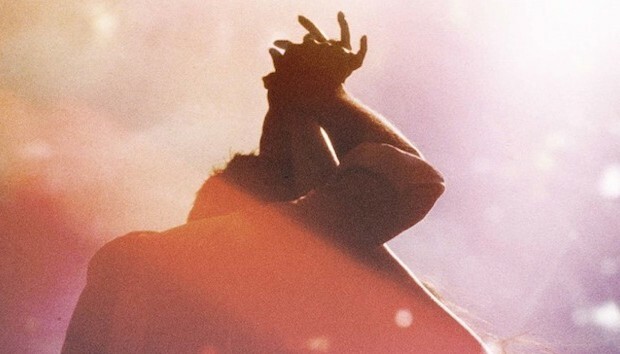 In the era of dubstep and EDM, when you really don’t know what the music ends and where the smoke-and-mirrors begin (or, really, sometimes what ‘music’ is), Grizzly Bear are a comfortable, honest reminder that real music – the kind even your grandparents could recognize as music – still exists. “Yet Again” is the lead single off of their remarkable latest album Shields. (Watch the music video for the same above: it is a suitably pretty video about the troubled life of a teen-aged ice-skater.) While it doesn’t equal Grizzly Bear’s career-wide shining jewel, it does remind one nicely that they’re as brilliant as ever. The wistful vocalization in the middle is a little Suzanne Vega, we thought, and just as well: they possess her brilliance at writing an honest-to-God good song. Listen to “Yet Again” if you just want to listen to music that sounds like music, goddamnit.